Airobotics is about to become a big name in the drone industry, but still, most of you are hearing about it for the very first time. 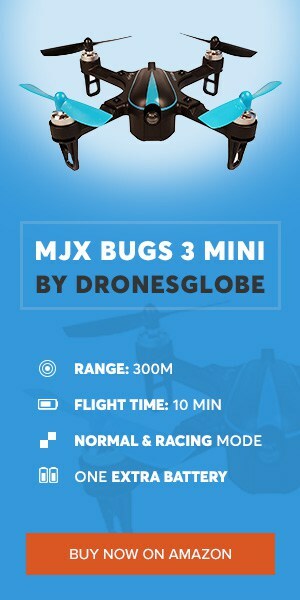 That’s because Airobotics isn’t working with mainstream drones such as the likes of DJI, Yuneec or Hubsan. But why are we telling you all this? Well, it just so happens that recently Airobotics nabbed whopping $32.5 million in funding and are now expanding into other sectors. Mainly, they are targeting defense and homeland security, both of which are of utmost importance for the USA as the global air force. However, we are talking about an Israel-based company whose total worth is estimated to be somewhere around $200 to $400 millions. Not surprising considering plenty of famous companies are involved in the story. In fact, reports say Airobotics has raised a total of $61 million thanks to investors such as Noam Bardin, Richard Wooldridge and David Roux. What’s the idea behind all this? The main concept behind Airobotics plans revolves around comprehensive and fully autonomous drone systems. The idea comes from the hypothesis that human-operated drone systems are not the ideal solution. AI systems, however, provide maximum precision, accuracy, and availability… and all that with relatively low maintenance costs. Man-made errors would also be completely annihilated by fully autonomous systems, but one question still remains. Are we really ready to have an AI-driven system defending our airspace? This is the first big problem that Airobotics and other similar companies are facing. At the moment, they are only 100% legal in their country of origin – Israel. With Israeli’s efforts to modernize their defense system due to their difficult geographical position on the Middle East, technology improvements are considered a top priority. Besides Israel, Airobotics is also partially legal in USA and Australia. As far as USA is concerned, Airobotics’ fully autonomous drone systems can work but humans need to monitor them at all time. As stated above, Airobotics is concentrating on homeland defense and industrial uses. However, it seems as though they have much bigger plans for the foreseeable future. 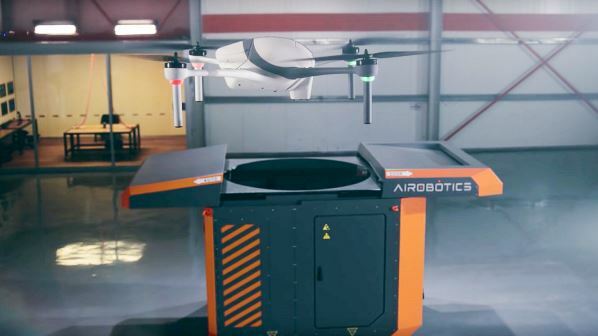 With brilliant docking stations ideas (something we can probably expect from Amazon’s next drone delivery system tests), their CEO, Ran Krauss expressed a desire to extend their business into several other industries. While Airobotics seems to be, at least at the moment, extremely satisfied with their position, they are looking into the possibilities of going into big cities. This task could be filled with obstacles as we don’t think masses would appreciate the fact there are fleets of drones flying above their heads. Still, in cases of various emergencies, autonomous drone systems could truly pose as excellent solutions for data collection. They could be our eyes in the sky! 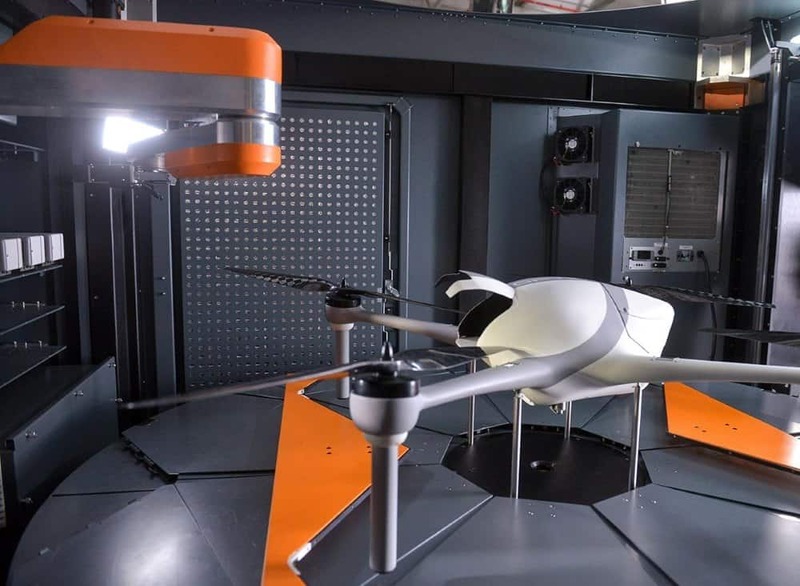 Think of a scenario where fully autonomous drones could follow criminals from a safe height and provide live video stream for police officers. Or better – during wildfires, drones could scout the area and provide live video stream for firefighters so they can have better understanding of what awaits them… before they even get to the location. The possibilities are endless so we reckon it is just a matter of time until Airobotics gets the green light in a lot more countries.